Nice places to buy a wheelchair accessible van....but price are LITTLE expensive. In addition to building top quality, reliable conversions, AMS Vans backs all newly modified handicap vans with a low price guarantee. * Side and rear entry handicap vans purchased from the AMS Vans inventory can be delivered right to your front door in Flint, Michigan or nationwide (delivery fees may apply) and include white glove service where our mobility professional will give you an in depth tutorial of your new wheelchair van. If you aren&apos;t completely happy with your modified handicap van from our inventory, you can send it back upon delivery; no questions asked. Both new and used wheelchair accessible vans with new handicap conversions by AMS Vans come with a solid warranty, national service, and a 24-hour emergency conversion help line for as long as you own your wheelchair accessible van. If you already own a minivan in Flint, Michigan or prefer to buy a new or used minivan to modify, AMS Vans will convert your vehicle into an AMS Vans brand handicap van. New or used Chrysler, Volkswagen, Honda, or Dodge minivans can be modified into an AMS Vans Legend, AMS Vans Edge, or AMS Vans Edge II mobility van. Add additional ambulatory passenger seating with jump seats or other custom mobility equipment during your handicap accessible van conversion. 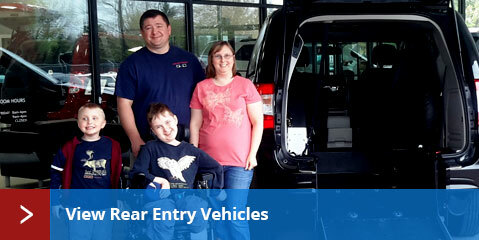 Purchase a new minivan already converted with an AMS Vans wheelchair ramp conversion in Flint, Michigan and nationwide. Your choice of side or rear entry wheelchair van conversions are available on most Dodge, Honda, Chrysler, or Volkswagen minivans. In addition, you could qualify for mobility rebates on a new minivan. Our AMS Vans brand pre-owned handicap vehicles with new and used conversions are certified used and available to Flint, Michigan, as are accessible minivans from Braun, VMI, Rollx, and other manufacturers. Depreciation is a loss in the value of a vehicle that occurs when you drive it off the lot; buying used minimizes that loss. Each used wheelchair van with new conversions comes standard with an incredible conversion warranty and any remaining manufacturer&apos;s warranty on the minivan. Using Kelley Blue Book and several other resources to offer a fair market price quote, AMS Vans has several different options to sell your un-modified or professionally converted minivan to AMS Vans. We buy in Flint, MI and all across America for a great price, nationwide pick-up, and quick cash payments. Sell a used handicap vehicle to AMS Vans, even if it&apos;s from another manufacturer like Braun, VMI, or Rollx. You can rest assured that your price quote on selling your used handicap van to AMS Vans is one of the highest available. 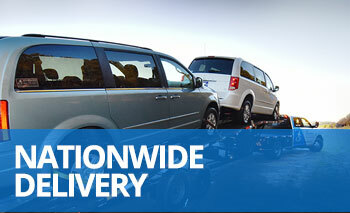 If your transportation needs have changed and you no longer need a wheelchair van or you&apos;re just ready to upgrade your current AMS Vans brand conversion minivan, the AMS Vans Buy Back Program offers some of the largest payouts and trade-in quotes in Flint, MI and the national mobility industry. AMS Vans will buy unmodified minivans from Chrysler, Dodge, Honda, or VW through direct sale. Purchasing used minivans from private sellers and then modifying them with new ramp conversions allows us to sell an AMS Vans mobility van at a significantly lower price. 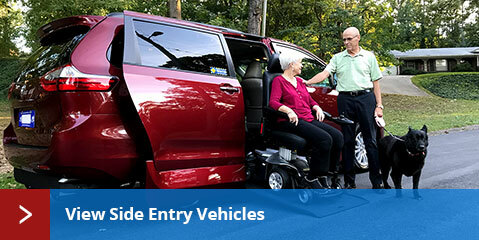 Save time and money by listing your wheelchair accessible vehicle directly on AMS Vans mobility classifieds and reach your target audience of people already looking to buy or sell accessible transportation. When it comes time to sell your used AMS Vans accessible van, all AMS Vans customers can list in our mobility classifieds for free the first month. 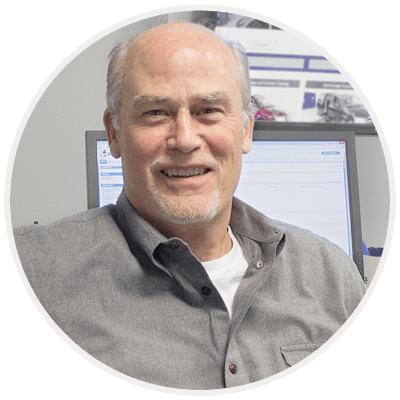 Selling your accessible vehicle can be overwhelming when you have to write the perfect ad and answer questions from potential buyers; the mobility consignment program at AMS Vans handles the sales process for you. To keep the prices of our handicap vans as low as possible, AMS Vans works differently than other dealers by selling direct online and select storefronts nationwide. Research what other wheelchair van customers think of AMS Vans in Flint, Michigan and nationally by reading our handicap van customer testimonials. As part of our thank you to our current and previous customers of AMS Vans, if you refer someone and they mention your name during the sale of their own new or used wheelchair accessible van, we&apos;ll send you a check for $250 as a thank you! For well over a decade, AMS Vans has manufactured high quality wheelchair vehicles that fit almost any budget.